January 22nd, 2018: A new item added to the Miscellaneous section! December 31st, 2018: New item added to the Wanted section. December 26th, 2018: A new custom sculpture arrived today :) It has been added to the respective section. December 10th, 2018: As mentioned in the last update, the other item arrived today! :D It has also been added to the Custom Accessories section. December 6th, 2018: A new custom item has been added to the Custom Accessories section! Another one should be coming soon. August 24th, 2018: A new official item in the stationery section! My very first grail item :) Now to focus on the next! July 20th, 2018: 2 new custom items today in the Stationery section. A huge thank you to a very nice friend of mine who got these for me as a birthday gift! We'll also be updating with a special official item next month that I am very excited about! February 28th, 2018: Sadly, not much has been happening, but there has been an update to the custom art section. April 29th, 2017: With the new games, Mega Audino is sadly getting even less attention. Despite that, we have a new custom item and are still waiting for some more so yay. February 18th, 2017: It's been a long while, but finally something new in the custom section! January 12th, 2017 New stickers added to the custom section! January 1st, 2017: Another long update pause, but this does bring the first update for 2017 with one new item in the custom section! December 2nd, 2016: It's been nearly a month since the last update, but with the new games last month, Mega Audino is unfortunately getting even less love. Regardless, I did get something pretty special that has been added to the Game section! November 5th, 2016: New additions in the Game and Stationery sections! October 24th, 2016: A new addition to the custom section! October 18th, 2016: One new little advert added to Stationery! October 4th, 2016: The Portuguese versions of Mega Audino EX and Audino Spirit Link are now in the game section! We now just have the Russian versions left. September 19th, 2016: Spanish versions of the Mega Audino EX and Spirit Links are up in the Game section! Also another new addition to the Custom section. September 13th, 2016: Another new sticker in the custom section! September 8th, 2016: New pin in the custom section! September 2nd, 2016: New sticker in the custom section! August 30th, 2016: The Mega Audino Poncho Pikachu are now out in the US so the US versions of the normal and mascot plush have been added to the Plush section! There are also two new additions to the Misc. section along with one new addition to Custom. August 24th, 2016: One new custom item! August 13th, 2016: One new item in Games! August 8th, 2016: One new custom item! August 6th, 2016: 2 new clearfiles have been added to the Stationery section! July 18th, 2016: The Italian version of Mega Audino EX finally arrived which finishes off the Italian set. Just the Portuguese, Spanish, and Russian versions left! July 6th, 2016: The Korean versions of the cards have arrived! July 3rd, 2016: 6 more cards added to the Game section! This finishes up the French and German versions of the cards. June 25th, 2016: 2 new cards in the Game section! The Italian versions of the Audino Spirit Link. Hopefully we can get the others soon! June 5th, 2016: 1 new item (though, 2 pages) in Art and 1 new item in custom! June 2nd, 2016: 2 new items in the Stationery section! May 25th, 2016: 1 new custom item! May 14th, 2016: 2 new cards in the Games section and one new plushie in the custom section. May 7th, 2016: New card in the Games section! April 26th, 2016: 2 new custom items have arrived. April 22nd, 2016: 1 new addition to Miscellaneous! April 16th, 2016: 4 new additions to the custom section! April 11th, 2016: 2 additions to the custom section! April 10th, 2016: One new addition to the art section! April 6th, 2016: Two new items added--one to Stationery and one to Miscellaneous! March 31st, 2016: Two new items added to Stationery along with a new picture to the Wafer Seal! March 21st, 2016: A bunch of new additions to the Games section with the arrival of the Mega Audino EX Deck! 7:25PM: One more update today with something added to the Art section! March 19th, 2016: 2 new custom items arrived yesterday! March 11th, 2016: One new custom item has been added! February 25th, 2016: One new item in Misc.! We also got the rest of the stickers from the Mega Campaign Poncho Group Sticker sheet so there are updated pictures in the Stationery section. February 20th, 2016: 1 new flyer in the art section! We just have one more flyer we're looking for to finish up the Mega Campaign stuff Wanted section so if you have it, let me know! February 19th, 2016: 1 new item in the misc. section! February 18th, 2016: 1 new item today in the stationery section! February 17th, 2016: 4 new items today! One in custom, one in Art, one in Games, and one in Misc. February 5th, 2016: Lots of Mega Campaign stuff has arrived! New additions in Plushies, Figures, Charms, Games, Stationery, Art, and Misc. sections! February 3rd, 2016: One new item in the custom section! February 1st, 2016: New item in the stationery section! Also managed to get another of the wafer seal so updated with a picture of the second one in the sticker book! January 12th, 2016: A lovely new custom addition has been added! January 9th, 2016: Two new custom items added! December 28th, 2015: New items in the miscellaneous section! December 26th, 2015: I hope everyone had a good holiday! :D Our newest update is two new items in the custom section. December 19th, 2015: 4 new items today! One in the custom section, one in the game section, one in the Misc. section, and one in stationery! December 14th, 2015: A new official item has been added to the Misc. section! December 2nd, 2015: Just in time for the holidays, a custom Mega Audino ornament has been added to the custom section! November 29th, 2015: Lots of new things in the Wanted section and added one new item to Misc.! November 19th, 2015: 2 new official items in the stationery section! Also two new pictures added to the Sticker Seal in that section as I finally got a second one. November 17th, 2015: 3 new custom items and 1 new official item in the Misc. section! November 16th, 2015: A new custom item has been added :) Several official items are also on the way and some new stuff has been added to the wanted page! November 9th, 2015: One new official item in the Stationery section! November 7th, 2015: A huge surprise came today with a package of keychains that was lost in the mail returning! Two were already remade, but now they don't need to be anymore. I'm just really happy to see it! October 30th, 2015: Another new custom arrival today! October 24th, 2015: One new custom item arrived recently :) Also several things added to wanted! Mega Audino is finally showing up more... even if it's all with the same artwork. October 14th, 2015: One new custom item added. October 8th, 2015: Two new custom items added along with two new official items in the Game section! September 23rd, 2015: 1 new custom item today! September 18th, 2015: 2 more custom things today. September 16th, 2015: One more custom arrival today. September 15th, 2015: Another arrival today for the custom section! September 14th, 2015: Two more custom additions! September 11th, 2015: Another new custom item today :) Also several new official things added to the Wanted page that I am looking for! September 4th, 2015: The coming soon thumbnail has officially been updated with what it was waiting for :) Unfortunately, the test iself didn't work, but I hope you enjoy looking at the pictures regardless! September 2nd, 2015: A new custom item added. August 29th, 2015: A new official item added to the Games section! August 28th, 2015: Another new custom addition today! August 27th, 2015: One new custom addition has been added! Also preparation for another to test some stuff out, but if you'd like to see a preview of it... click here! August 24th, 2015: One new custom addition! August 22nd, 2015: Two new custom additions! August 17th, 2015: One more custom addition! August 7th, 2015: Another new custom in the custom section! August 6th, 2015: Another new custom addition. August 5th, 2015: A new custom has been added! July 30th, 2015: One new sticker in the custom section. July 20th, 2015: Two more custom additions have been added! Also a lovely piece of artwork is on the page as well that was done for my birthday! July 13th, 2015: Another custom addition today! July 8th, 2015: A new custom sculpture today! July 6th, 2015: 3 new custom items today! 2 Keychains and a Plushie! June 27th, 2015: A new official item has been added to the Miscellaneous section today! June 20th 2015: 2 New related official items!  They have been added to Stationery and Misc. respectively! June 20th, 2015: Another new custom plush today! June 9th, 2015: New sticker arrival in the custom section today. June 8th, 2015: Another new custom arrival today! Also currently doing my best to get a new official item so hopefully I manage to get it! May 25th, 2015: Was away for a while, but came back to three new things to add to the custom section! May 18th, 2015: Another new custom addition today! May 14th, 2015: Another addition to the custom section today. May 12th, 2015: A brand new addition has been added to the Stationery section! May 8th, 2015: Another new addition to the custom section! May 5th, 2015: A new sticker in the custom section! May 4th, 2015: Two new items in the Custom section! April 30th, 2015: A new custom plushie has been added to the custom section! April 24th, 2015: A new addition has been added to the custom section. April 18th, 2015: A New Custom Mega Audino Plushie has been added! April 17th, 2015: A New Mega Audino Sculpture added to the Customs section along with an update to the Wanted section! April 16th, 2015: A new item in the Misc. section! April 7th, 2015: 3 custom tags and a custom pendant arrived today! April 1st, 2015: One new custom sticker arrived today! March 31st, 2015: A new official item has arrived! You can find it in the Miscellaneous section :) One new custom item today as well! March 30th, 2015: 1 New custom arrival today! March 27th, 2015: 2 new Custom Arrivals today! March 24th, 2015: 2 More Custom Arrivals today! March 23rd, 2015: A Custom Mega Audino figure and the Official 1,000 Yen Pokemon Shuffle Prepaid card design with Mega Audino on it have arrived today! March 21st, 2015: A custom pendant came today! March 20th, 2015: A sticker from RedBubble came today! March 13th, 2015: Another custom sculpture arrived today! March 12th, 2015: 3 New custom arrivals this week :D One plush, one keychain, and a sculpture! March 9th, 2015: Another custom plush today! Some official items for Mega Audino will be coming out next week and have been listed in the Wanted section! I currently have a pending transaction for the card, but if you get the mug and/or know of anything else that may feature Mega Audino (such as on the back or a box), feel free to let me know! March 3rd, 2015: Several new things today! One custom item, 2 things in Misc. and our very first item in the Charms section! February 14th, 2015: Another new custom arrival today! February 13th, 2015: One new custom item arrived today! February 6th, 2015: As mentioned, a collection update today! Some things in custom stuff and a new official item in the Game section! January 30th, 2015: Three new arrivals today! Two different Mega Audino papercrafts and another sticker from RedBubble. January 28th, 2015: Despite the Storm Delays, several new arrivals came today! All 4 can be seen in the custom section with a sneak preview to the right (at the time of this update anyway). The latest official merchandise found has officially gotten to the bidding service site as well so hopefully it will be here soon! January 20th, 2015: Apparently that wasn't enough as we also had two new Custom arrivals arrive today as well! :D You will also be seeing some minor updates to the pages with some nice bordered thumbnails! January 16th, 2015: Another custom item arrived today--this time a lovely new pin :D Be sure to look through the pictures to see the lovely drawing it came with as well! January 10th, 2015: While the custom part of the website is still much more full than the rest, we're continuing to fill out the sections with 3 new additions today! Be sure to check Art, Stationery, and Misc. to check them out! We still have two more official things on the way (which will also be in Art and Misc.) along with the firt official Pokemon Center merchandise coming out in February (unless something is announced to release sooner) so yay! January 9th, 2015: Apparently today wasn't done just yet as we received one other special item using some artwork :D A lovely notebook I'm using for my stickers! Earlier: Two new additions today! A Pokemon-time Styled plush and a sticker of the lovely PokeHolidays Hoodie I received that was drawn by PokemonPalooza. Please check out all the wonderful hoodies that were made for the holidays by clicking here and you can find the lovely one made for me (in better quality than my awful photo taking) here. I'm so glad they let people make them into things for personal use as now I get to enjoy it in real life too! 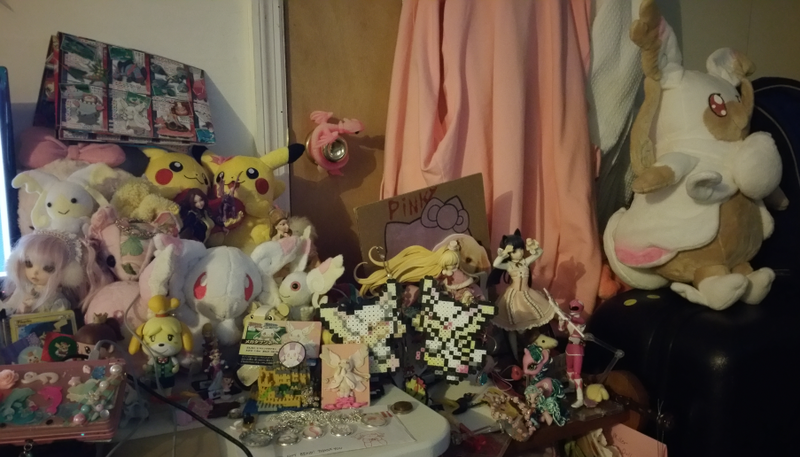 I hope I'll eventually have a special place just for Mega Audino stuff soon! January 2nd, 2015: Our first update for 2015! :D This time, we have another new custom item--a Perler Bead Ornament. And if a package arrives properly this time, expect an update tomorrow too! December 23rd, 2014: Another custom arrival today--a cute Perler Bead of Mega Audino's Party sprite. December 22nd, 2014: Two new Custom arrivals today! A Plushie and a Keychain. Besides that, there should be a silly update to the Index page soon--it won't look any different, but it will still make a cute Easter Egg so to speak. December 19th, 2014: We received two more custom items today (and one even came with a couple of art bonuses)! Plus I officially have won auctions for two official items so hopefully they will be ready to ship here soon! December 18th, 2014: Layout is still in progress, but getting more and more together each day. We also have two new custom items--a button and a sticker! Due to the fact that they contain indentical artwork though, I'm going to count it as just one item in the collection. December 15th, 2014: You may have noticed there haven't been any updates recently! This is because we've recently been redoing the site as you may be able to tell from the new layout. It's still not working 100%, but you should be able to see lots of updates now and hopefully it'll be done soon. We've received several custom items, one of our first official items, and currently have another official item on the way so the collection is definitely building and it's quite exciting. November 5th, 2014: Another sticker from RedBubble.com! October 24th, 2014: Another new custom item--a plushie! October 17th, 2014: It's been almost a month since our last update, but we've had a new arrival to the custom section! September 18th, 2014: Two more custom items arrived today! A Pokedoll styled plushie by lyndsaygorawr and a Mega Audino-styled Pokeball Pendant from TrinketGeek. 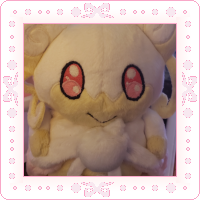 September 5th, 2014: I received the two very first items for my Mega Audino collection! Neither is official so they are both in the custom section, but I'm still very excited! So far, no official Mega Audino stuff has been announced, but hopefully there will be soon.